Do State Legislators have Standing to Appeal a District Court Racial Gerrymandering Ruling? December 4, 2018 / Election Law Society / Comments Off on Do State Legislators have Standing to Appeal a District Court Racial Gerrymandering Ruling? In June 2018, in a case called Bethune-Hill v. Virginia State Board of Elections, a federal district court in Richmond struck 11 districts as unconstitutional racial gerrymanders. Because the remedial map will likely impact the balance of power in the state legislature, its majority members would like to appeal the district court ruling. The original defendant in this case was the Virginia State Board of Elections. The Virginia House of Delegates and the Speaker of the House of Delegates were permitted as Defendant-Intervenors in the original litigation. The trouble is, Virginia Attorney General Mark Herring declined to appeal the ruling on behalf of the Virginia State Board of Elections. The Virginia House of Delegates and Speaker Kirk Cox, appealed the ruling as Defendant-Intervenors. On November 13, the U.S. Supreme Court agreed to hear the appeal. The Court asked the parties to brief the following question: does the Virginia House of Delegates have standing to bring the appeal? The standing question comes down to whether the House of Delegates can assert an institutional injury to merit what is called “Article III standing,” and whether that authority is cabined by exclusively state law. 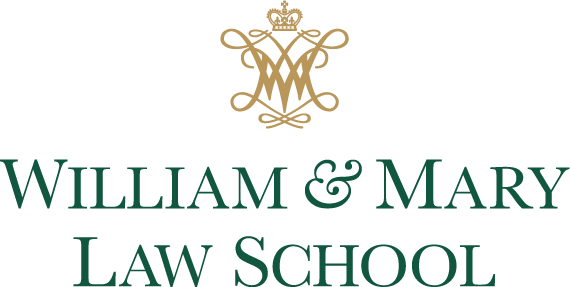 In her forthcoming article Government Standing and the Fallacy of Institutional Injury, William & Mary Law Professor Tara Grove argues that institutions have no greater interest in their governmental powers than others in society, and institutional injuries are inconsistent with our constitutional structure. The issue of institutional standing is infrequently addressed by the Supreme Court. In Karcher v. May, the New Jersey Speaker of the House and Senate President both intervened as defendants in suit brought by parents and teachers to declare a New Jersey law requiring a moment of silence unconstitutional. The legislative leaders intervened when the Attorney General, the New Jersey Department of Education, and other named Defendants refused to defend the statute. The Speaker and Senate President asserted they were intervening on behalf of the legislature. However, before the case reached the Supreme Court, they lost their posts as legislative leaders. They then asserted their interest as individual legislators and as the leaders of the prior expired legislative session. The Supreme Court held that they were no longer parties to the legislation because New Jersey law provided for legislative officers, not individual legislators, to sue on behalf of the legislature. Further, under federal law their authority as legislative officers had passed to their successors, who had in turn withdrawn the appeal. The Supreme Court elaborated on its ruling in from Karcher in the case of Arizonans for Official English v. Arizona. In denying Article III standing for the defendant-intervenors, the Court reasserted the importance of state law authorizing a party to defend state law. The Court held reiterated that state legislators have standing if they are authorized by state law to represent the state’s interest. However, in Arizonans for Official English, the proponents were not state legislators, and had no authorization under state law. In Hollingsworth v. Perry, the Supreme Court considered whether supporters of Proposition 8, a California ballot initiative limiting marriage to one man and one woman, could intervene to defend the enacted law. The Court held that the parties did not have standing, as they did not suffer a concrete and particularized injury, once their initiative became law. Further, the Court held that while state law may authorize proponents to defend their initiative in state court, state law is not exclusively controlling in federal court where Article III standing is required. Authorization by state law may satisfy standing requirements in the case of an institutional actor such as the attorney general or legislative leader, but private supporters of Proposition 8 did not have standing. In appealing the district court decision, the Virginia House leaders assert they have an institutional particularized interest in the district court’s decision. They also argue that the Virginia law authorizes the House to defend state statutes because the Virginia Supreme Court approved the House’s intervention in state court cases like Howell v. McAuliffe, Wilkins v. West, and Vesilind v. Va. State Bd. Of Elections. Howell v. McAuliffe concerned the Governor of Virginia’s authority to reenfranchise Virginians with felony convictions, while Wilkins and Vesilind were challenges to Virginia House of Delegates district maps on state constitutional grounds. All of these cases are examples of the continued practice of the Virginia Supreme Court to authorize the Virginia legislature to intervene in state cases where it has an interest. This is the traditional practice, and the House of Delegate’s standing to intervene has not previously been challenged in litigation. According to the House Speaker, approval from the state Supreme Court was sufficient in Karcher, and thus should be sufficient authorization in this case as well. This reasoning is problematic because it overstates the authorizations in Howell and Vesilind. Both cases were authorizations for the House of Delegates to appear in state court, not federal court. Essentially, the appellants are equating their prior authorization to appear in state court with authorization to appear in federal court as a matter of law. Further, there is no Virginia statute or Constitutional provision authorizing such appearance, only the state Supreme Court’s prior authorization. Even in their motion to intervene, the appellants did not cite Howell, Wilkins, Vesilind, Karcher, or any Virginia statute. The mere continued practiced of standing authorized by the Virginia Supreme Court is not sufficient to overcome the lack of statutory or state constitutional authority for standing. Just because standing is the tradition, does not mean it is proper under the law. While the Supreme Court may give weight to the traditional practice of authorizing legislative intervention in litigation, if the Virginia House of Delegates’ standing in Bethune-Hill is dependent solely on the Virginia Constitution and statute, the appellants are in a difficult position.